The U.S. Navy is supposed to be adapting to face a series of threats it hasn’t seen since the Cold War. In particular, China’s growing — and increasingly assertive — navy comprised of warships that outrange American ones. The United States’ sailing branch has to do all of this with fewer ships and severely exhausted crews. No longer can the Navy neglect the problem. 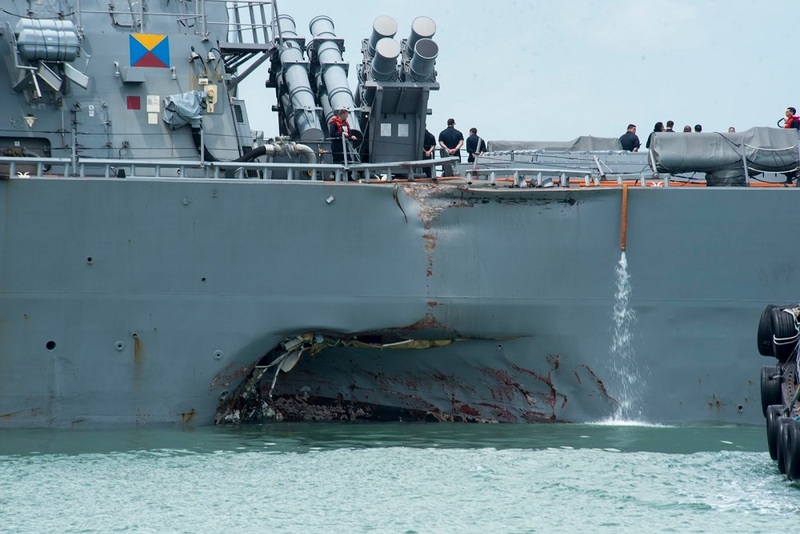 Chronic fatigue contributing to human error likely played a role in the collisions of the Arleigh Burke-class destroyers USS John S. McCain and Fitzgerald with cargo vessels in the Pacific in 2017, which together cost the lives of 17 sailors. But the factors that led to these catastrophes were widespread and obvious long before and not just in the Navy. “Insufficient sleep duration, poor sleep quality, and sleep-related daytime impairment are pervasive problems in the military, even more so than they are in society as a whole,” a 2015 report from the RAND Corporation found. The Navy rushed to implement new measures after the John S. McCain collision with MV ACX Crystal, a 29,000-ton, 730-foot-long container ship. The most important takeaway is that the Navy is conducting new readiness assessments of Japan-assigned ships and is standing up a new Surface Group Western Pacific to “to consolidate authorities to oversee the training and certification of forward-deployed ships based in Japan,” according to USNI News. Better — the sailing branch is mandating that watch rotations follow a 24-hour circadian rhythm schedule, which does reduce fatigue if done properly. But the Navy’s steps — which largely amount to adding a new layer of bureaucracy within the Seventh Fleet — won’t be enough. The fact is, the Navy is flat-out overworked. Americans ask their sailors and their warships to be in too many places at once, and when there are far too few of them. Nor is Congress allocating enough money to build ships to make up for the Navy’s shortfall while it also seeks to cut taxes and balance the federal budget. Sailors often work 100-hour weeks, according to the Navy. To put that into relief, the International Labour Organization, a U.N. agency that sets international labor standards, states that civilian seafarers should work no more than 72 hours per week with a minimum rest period of 77 per week, according to the ILO’s maritime convention of 2006. The reason is simple — pushing sailors too hard is how mistakes happen. The United States is not party to the convention, and in any case it wouldn’t apply to the military — for quite practical reasons. Nevertheless, it’s an example of how debilitating naval service can be for the soldiers who are subjected to it. USS ‘John S. McCain’ following her collision with a container ship in August 2017. Fatigue costs lives. Long working hours with scarce hours for sleep creates a “corrosive effect” on performance, Adm. John Richardson told the U.S. Senate on Sept. 19, 2017. Richardson is putting it lightly. Seamanship is one of the world’s toughest jobs and working hours demand constant, undivided attention. Slipping up on duty, exacerbated by fatigue and stress, can and will lead to disaster. Sailors are so tired, they at times work in a state comparable to drunkenness. To make matters worse, the Navy’s demanding schedule has cut into training time, with officers often learning on the job. Ideally, commanders serve their crews best by enforcing circadian waking-and-sleeping schedules, according to the Naval Postgraduate School. It’s a practice the Navy is rolling out more widely, and there are several variations of it. Quarters, i.e. face-to-face time between officers and enlisted sailors, should be later in the day and not early in the morning. Same goes for routine meetings and operations briefings. 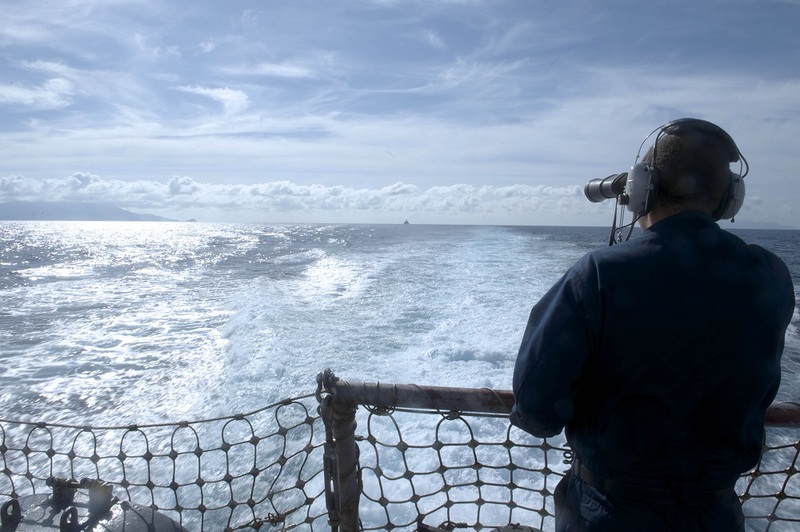 Reveille calls and whistles should also be eliminated for the sake of watchstanders — those critically important sailors who monitor the ship’s machinery and look out for danger. The worst thing to do is stick to schedules that requires night watchstanders to miss meals or go without sleep, often by requiring them to attend meetings that conflict with their sleeping hours or by enforcing “all hands awake” hours. The Navy doesn’t have enough ships. 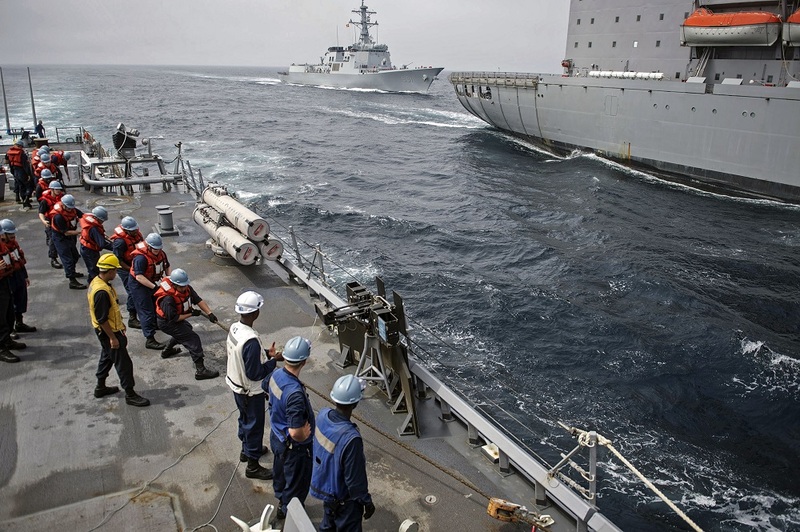 The U.S. Navy’s strength currently stands at 279 deployable battle force ships. Roughly half of these ships are in routine training or maintenance, though there’s a maintenance backlog given the demand placed on these vessels over the past 15 years. These ships and submarines are responsible for maintaining American presence at sea, deterring China, North Korea, Iran and Russia, chasing pirates, conducting exercises with allies, responding to humanitarian emergencies and much more. One of the biggest issues is ongoing, automatic budget cuts known as sequestration, which prevents the U.S. military from exceeding budget caps except in a short-term, temporary manner via congressional waivers. The Navy would like more than 300 ships at minimum, but the fact is — if you want a globe-spanning fleet, you have to pay for it, and successive administrations and Congress haven’t done it. The Navy, for its part, is highly reluctant to say “no” when called upon. A commander ordered to deploy with a ship or crew that isn’t ready doesn’t have many options but to set sail — and that’s unlikely to change even with new readiness assessments. Embedded in the Navy’s Pacific Fleet, in the words of Galrahn at the Information Dissemination blog, is a top-down “toxic ‘must do’” culture as opposed to a bottom-up “can do” culture. Reforming these practices will help. But adding more tasks on top of the already-existing and exhausting workload which the United States requires of its sailors will still leave them worn out. Dialing back our demands on the Navy would be a start — and long overdue.